Apple’s taking stock of its stock situation, issuing updates for AirPort, and thinking about making it easier to exchange cash via your iPhone. 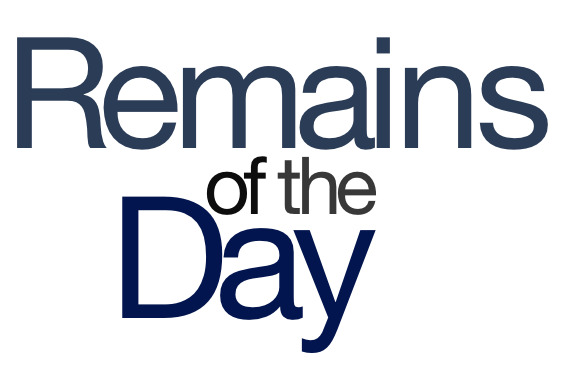 The remainders for Thursday, February 7, 2013 are in the money. Apple was moved to publish a public note in which it explained that yes, it has just a metric ton of cash lying around, and that yes, it’s thinking it ought to consider giving even more of that moolah to its investors. That message came in response to Greenlight Capital suing Apple, claiming that the Cupertino company isn’t doing enough to unlock shareholder value. I’m no investment expert, but I’m fairly certain this means you should either buy or sell Apple stock. Maybe both! Speaking of Apple and cash, the company reportedly filed a patent focused on cash loans between iPhone users. If Apple does ever release an app focused on exchanging money, I hope the data never gets stale: I’d hate to explain to someone how to clear the cash cache. Apple on Thursday rolled out some minor software updates. There’s AirPort Base Station and Time Capsule Firmware Update 7.6.3, which adds the ability to extend Guest Wi-Fi networks, WPS-capable Wi-Fi printer support, and support for additional countries. There’s also AirPort Utility 6.2, which can take advantage of that new firmware. And then there’s Digital Camera RAW Compatibility Update 4.04, which adds RAW image support for a variety of cameras from Leica, Nikon, Pentax, and Sony. And if you’re like me, whenever you read about such a software update like that last one, you shout, "RAW!" out loud, since the capital letters always seem to suggest a healthy dose of enthusiasm for the photo format. RAW! You know how today you can get an iPhone for “free,” so long as you commit to paying at least $1600 over the course of a two-year contract? That’s not exactly what happened to Sprint, but it should at least help you empathize with the fact that they lost over a billion dollars while simultaneously selling more iPhones than ever before.